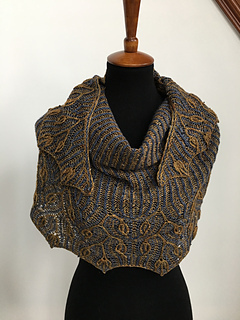 making and wearing of the Sylvan Tales Shawl. 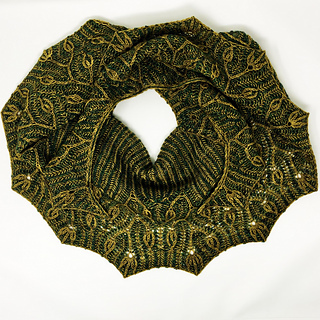 This beautiful crescent shaped shawl is knit top down and from the center out. 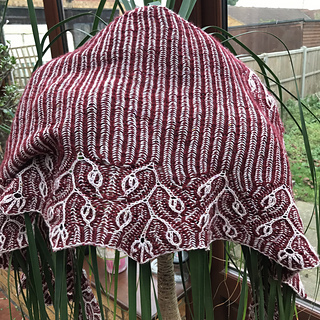 The shawl is knit using the two-color brioche stitch and features an original design of branching leaves created using brioche increases, decreases and syncopation. 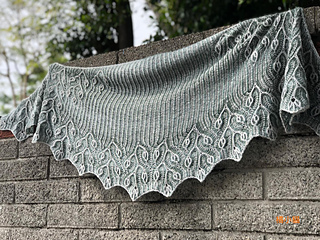 If you want to come hang out in my Ravelry group while knitting the shawl I think it’d be super fun to hang out with you! The leaves are worked in the main color. I recommend using the lighter color for the main color. 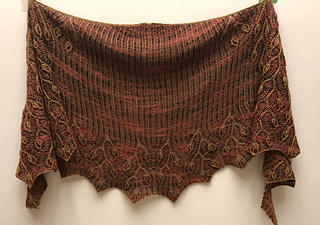 Sample was made with Knerd String 4-ply sock in the Dandy, Lion colorway and Knerd String 2-ply sock in the Deep Woods colorway. 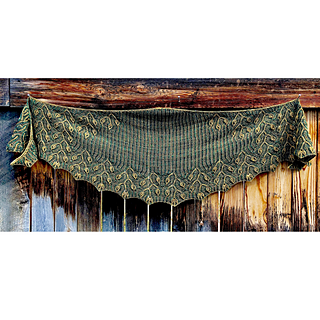 Knerdshop is offering kits! 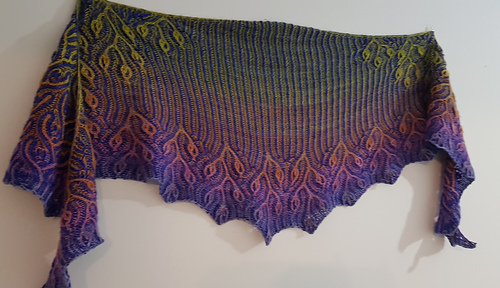 A note about the yarn I used two different yarn bases for this shawl as I liked the way the slightly heavier contrast color framed the main color leaves. If using the same base for both colors, I recommend using a yarn similar to the 4-ply base to ensure sufficient yardage for your project. Needles Size US 4 / 3.5 mm, or size needed to obtain gauge. 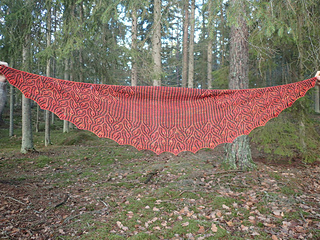 A circular needle format is required for working two-color brioche. 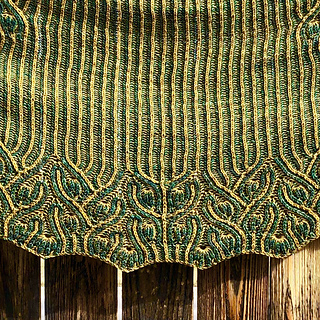 Gauge 16 sts and 32 rows = 4 in/10 cm in two-color brioche rib stitch after blocking. Gauge is not critical but may affect yardage/meterage used. 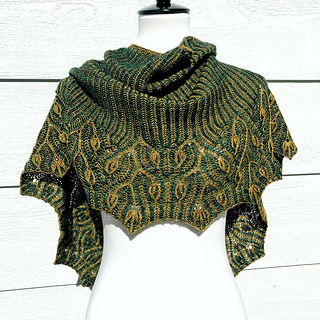 The pattern includes links to video tutorials for the less common stitches. Sources For more information about the brioche stitch and terminology used in this pattern, visit Nancy Marchant’s site http://www.briochestitch.com. The unwrapped BrLsl decrease was created by Xandy Peters.